JCS Family / JCS Family Companies / JobConnection Services, Inc.
JobConnection Services, Inc. is a full service staffing company that provides staffing support and other human resources services to employers of all industries. 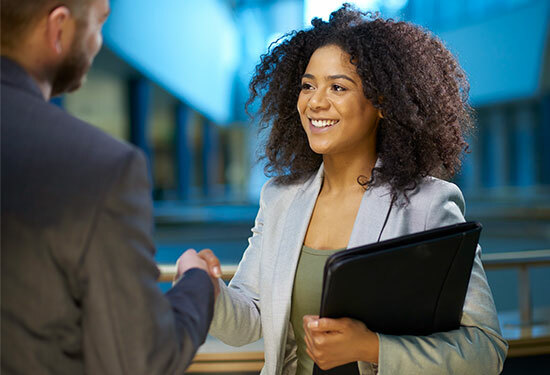 With more than 20 years experience connecting the best job seekers and employers, JobConnection Services brings industry expertise and seasoned recruiters to every client we serve. We employ temporary associates in roles ranging from basic, unskilled laborers to highly credentialed professional associates in Fortune 500 companies. They are very experienced and treat you with respect. Always trying their best to look for a job that fits your trade. JobConnection Services works with both Job-Seekers and employers alike. Unlike most staffing agencies, JobConnection Services gives individuals the opportunity to turn part-time jobs into careers. Many of those employed through JobConnection Services find that their positions are temp-to-hire. Even after the initial, temporary timeframe for employment is up, our clients may request to keep you to fill a permanent position with their company. Nearly 75 percent of the positions available fall under the category of light industrial, including warehouse jobs, forklift operation, and even areas where certification in the industrial sector isn't required. We also offer employment opportunities outside industrial work including administrative and clerical positions. A personal relationship that includes constant communication with our clients makes for a pain‑free temporary or permanent placement process. Whether you need 20 laborers by tomorrow morning or one employee with a very specific skill, JobConnection Services can help provide you with the best candidates available. We build relationships that sustain productivity. We develop lasting personal relationships with our job candidates and we treat them like our own employees. This provides insight into our talent pool that goes far deeper than the information we gather from resumes. We also create bonds with staffing and hiring managers to help us get to know each company’s unique culture. Our hands-on approach increases productivity for everyone. Employers trim operational costs and reduce staff turnover by locating employees that accurately match their business requirements. Job candidates build stronger careers by receiving reliable job placements and constructive personal support. JCS and its divisions have served over 300 employers employing thousands of both temporary and permanent associates of various professional backgrounds. JobConnection Services, Inc. is part of the greater JCS Family with 13 offices in 2 states and over 70 staff team members serving NJ, NY, and PA since 1997. Reaching out regarding a position?